E! sure does know how to make entertainment out of any family, doesn't it? Well, it helps when the families are just as entertaining as the careers that got them in the public eye in the first place. That's certainly the case with the new reality series Stewarts & Hamiltons , and the reason for that has a lot to do with Sean Stewart. Sean has been billed as the "Wild Child" of the family, which is really saying something, since this blended family is as Hollyweird as it gets. Stewarts & Hamiltons follows the adventures of Sean as well as his older sister, actress/model Kimberly Stewart, and his half-brother, actor and musician Ashley Hamilton. Sean and Kimberly's father is iconic singer Rod Stewart. Ashley's dad is legendary actor George Hamilton, who you will recognize the minute you see his tan. The three share a mother, Alana Stewart, who was married to George in the '70s and then married Rod. But even though they've been separated for decades, Alana and George have remained the best of friends. Hence, Stewarts & Hamiltons. As one might expect, growing up as Hollywood royalty has given Sean and his siblings quite the crazy life. However, he's done a lot of good with that Stewart name. There's so much more to Sean than what you have or will see on TV. As previously mentioned, Sean's dad is rock icon Rod Stewart, and his mom is actress and former model Alana Stewart. The two married in 1979 and divorced in 1984. Alana would never remarried, however, Rod would go on to have two more wives, model Rachel Hunter and Penny Lancaster, to whom he is currently married. We can only hope that Rod makes an appearance on Stewarts & Hamiltons this season, at least for a song or two. If you thought you've seen Sean somewhere before, you're probably right. Sean appeared on the short-lived A&E reality series Sons of Hollywood, which followed the trials and tribulations of what it's like growing up with rich parents in the city of Angels. In addition to Sean, Sons of Hollywood also starred Randy Spelling, the son of famed TV producer Aaron Spelling, and one of the show's creators David Weintraub, who doesn't have a famous dad and seemed to play the role of the moral center. Sean also starred in Season 2 of Celebrity Rehab , where he detailed his battle with drug addiction since he was a teen, his experience in-and-out of treatment, and a devastating moment when someone allegedly called him "a waste of sperm and egg" when he was 11 years old. Thankfully, Sean seems to be in a much better place these days, so hopefully his stint on Stewarts & Hamiltons will be much more upbeat. Following in father Rod's footsteps, Sean's official bio for Sons of Hollywood reportedly listed that part of his occupation included being a songwriter and musician. In fact, he sang the show's theme song "The In Crowd," which was also featured on the Bratz: The Movie soundtrack, as if you didn't know that already. It doesn't really seem like Sean has done much else of note in the music world since then. He even suggested that he didn't inherit his father's famous singing voice during a recent interview with KTLA. Oh well. Being on a reality show provides enough entertainment for the world as it is. Sean also pursued a modeling career around the time of Sons of Hollywood. It's hard to find a portfolio or really any photos from those days online. However, in the past few years, he has done some promotional shoots for 138 Water, billed as the "first fashion water," whatever that means. Sean also gained some notoriety in recent years for dating former Real Housewives of Beverly Hills star Adrienne Maloof, who is 19 years his senior, after she divorced husband Paul Nassif in 2013. The two eventually split later that year but decided to remain friends. 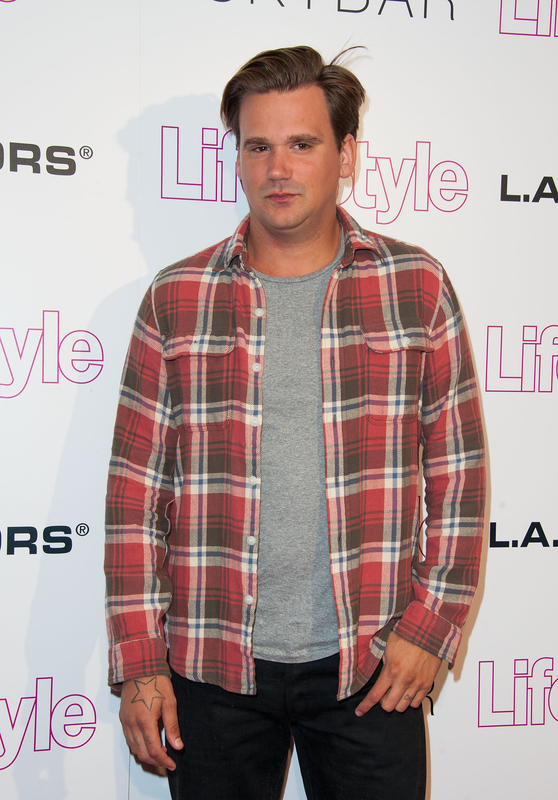 Sean appeared on Brandi Glanville's podcast the following year to discuss his relationship with Adrienne, saying that she never broke his heart, and he even asked Brandi on a date in the end. That was probably a joke, but I kind of want it to actually happen so that we can have even more extracurricular RHOBH drama. If Sean doesn't bring the fun on Stewarts & Hamiltons, I don't know who will.